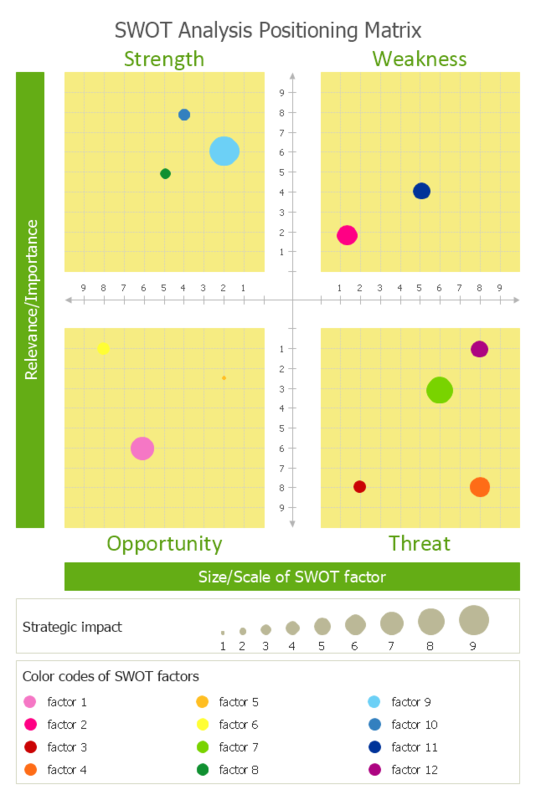 The prioritization matrix ranks factors. 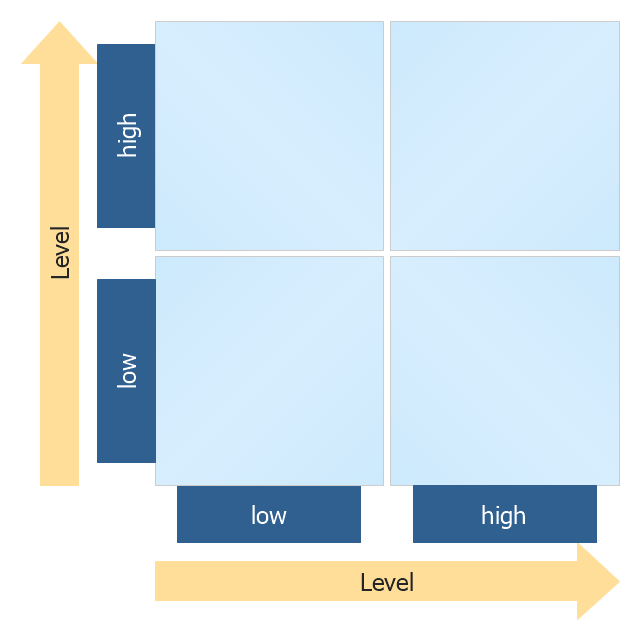 The process allows one to identify the factors that are the first priority. 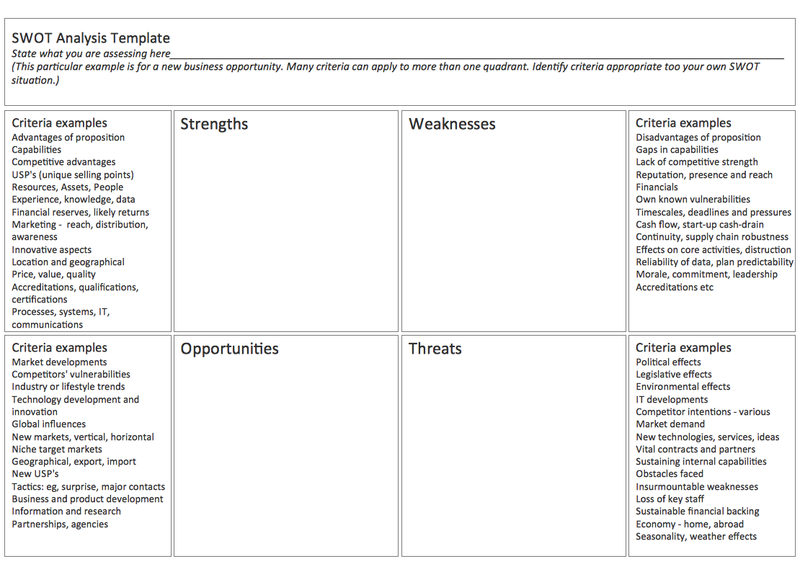 These factors can then be analyzed for possible corrective actions. 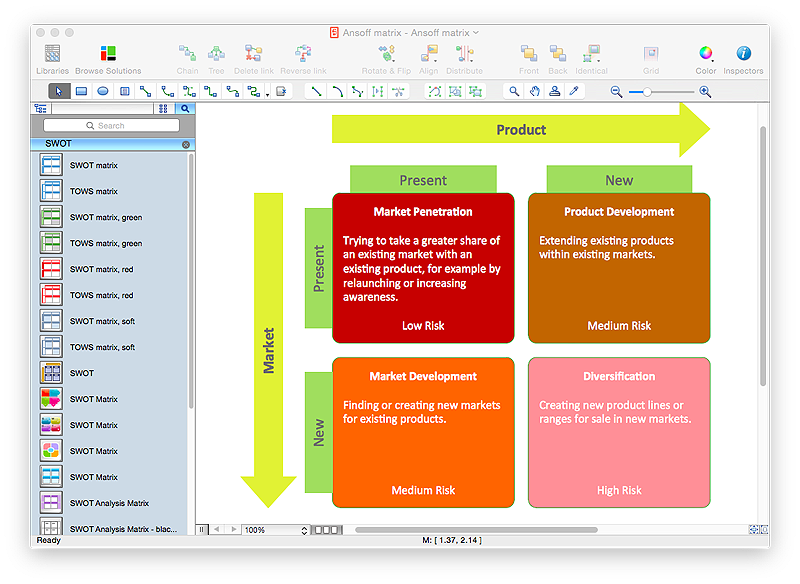 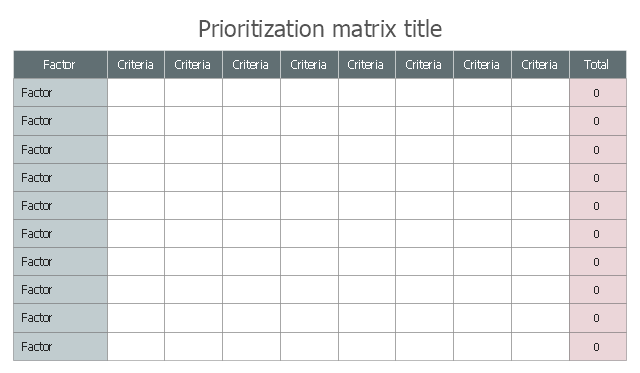 The prioritization matrix allows for the weighting of each identified criterion. 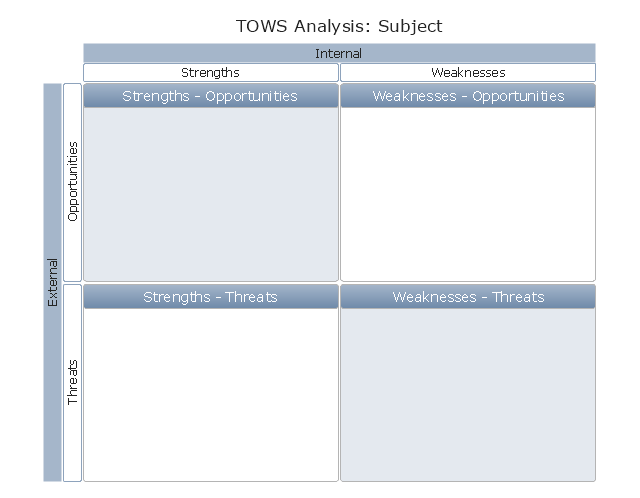 "The TOWS matrix ... serves as a conceptual framework for future research about the combination of external factors and those internal to the enterprise, and the strategies based on these variables. 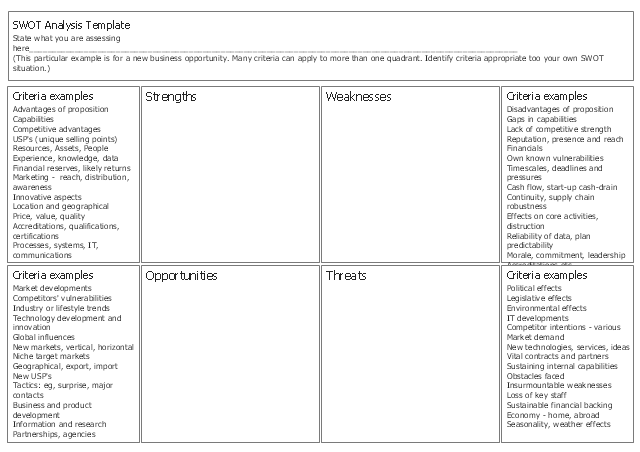 "A SWOT analysis is a tool that originated in the business world (Learned et al., 1969) but is useful for any kind of strategic planning. 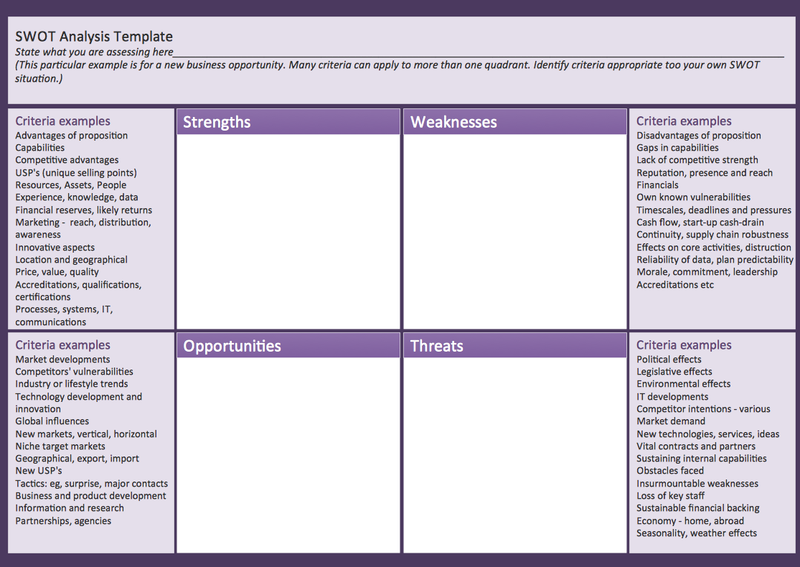 It's a relatively quick way to look at your Strengths, Weaknesses, Opportunities and Threats. 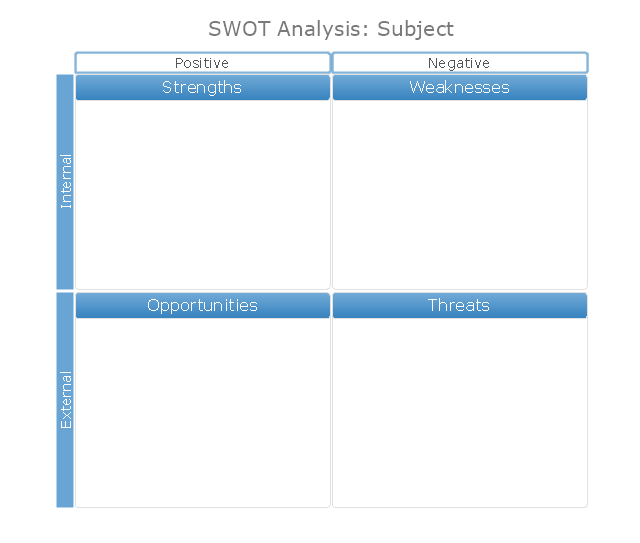 Although it is not a substitute for an in-depth analysis, it can set the stage for one.